Discovered in 1834, the Yarrangobilly Caves are a series of limestone caves with a fascinating geological history. There is also a warm thermal pool. The Yarrangobilly Caves have been a favourite for visitors since the 1890. Considering how remote they must have been then, they must have held a real fascination for visitors from the earliest days. There are three lit caves, one self guided – about 800 metres down to the entrance and the same distance back up through the cave. There a further two guided caves where you will need to book in advance. 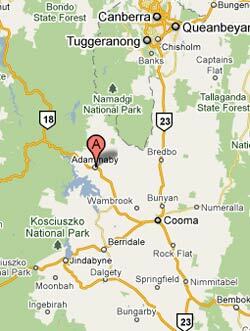 The Yarrangobilly Caves make a facinating day tour from Adaminaby – a very scenic 40km drive up the Range. There is a NPWS Shot and the historic Yarrongobilly Guesthouse and excellent picnic facilities. If you are fishing, hiking or horse riding it provides a great option if the weather turns. Well worth a visit!